The gardens are blooming with spring flowers. It seems I am in love with each and every flower… enamoured with all of our gourmet daffodils. Realizing.. I am a collector of flowers as well as a grower and designer. Every year I buy a few more perennial flower verities , for the love of flowers and to bring to market. As my personal the collection naturalizes… I am able to cut and bring the flowers to market. 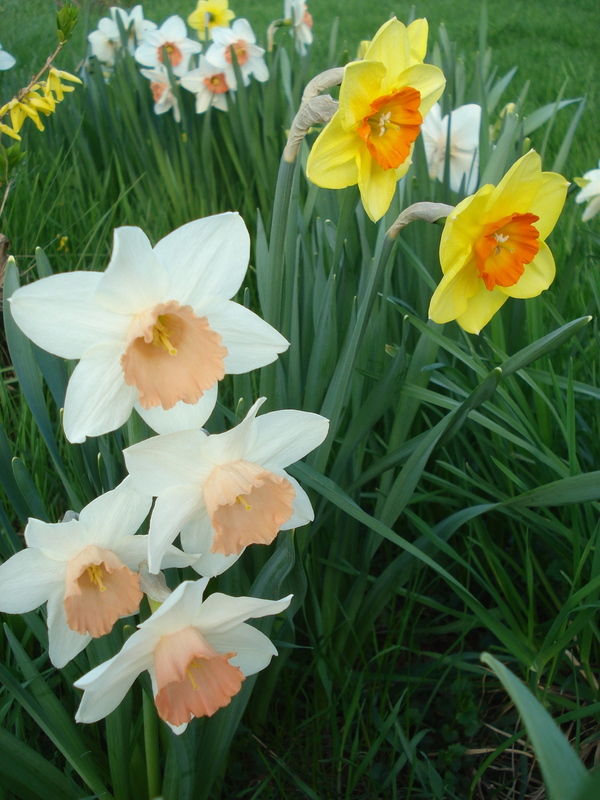 This season we cut hundreds of Daffodils to sell and still had many to enjoy in the garden. So here are some images from our personal gardens.